Outsource2india's package design services can help your product stand out from the crowd, enhance customer appeal and make your product a good customer experience at the most competitive costs. At O2I, we aid small, medium and large companies who lack the required design expertise, want to outsource custom packaging designs, desire to save on inhouse design costs, work in their own time zones or avoid outsourcing to little known, non-English speaking or inexpert designers. A trusted outsourcing provider, our creative design team has aided 19,000+ clients with 1,20,000 designs at the most affordable prices. We create attractive, innovative 2D or 3D product package designs that help your brand gain visibility. 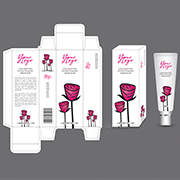 We offer innovative package designs for your products giving you an edge over your competitors. O2I offers food packaging services to global food brands. Our design services can be used for fresh food, fast food, confectionery, snacks, health foods etc. We provide package designs for wines, beer, spirits and liquor, tea, juice, water etc. From everyday personal care items, through to more exclusive luxury products, O2I has created packaging designs for skin care, hair care, makeup and cosmetics, medical products, etc. O2I receives a briefing from the client on its design requirements including logo information, any custom images they wish to add, copy to include on the packaging, nutritional info if applicable, product size and layout specifications etc. Designate the required resources, allocates tasks and appoints a Project Manager. Designers carry out the designs taking into account the stipulated turnaround time etc. Outsource2india helped Ireland based finance and investment business with a high volume of creative artwork, for its communications and other presentation needs, including artwork for brochures, financial reports and corporate presentations. Outsource2india provided Melbourne advertising firm with Based in Melbourne, Australia, 753 sticker designs, representing 7 different sizes for every Rugby Club in Australia. O2I provides top notch product package designs. Get in touch with us, tell us your requirement, and we will give you a FREE quote within one business day. Our numerous outsourcing services include Data Management, KPO, Engineering services and other business services. Partnering with us can bring you high cost saving and increase business productivity.